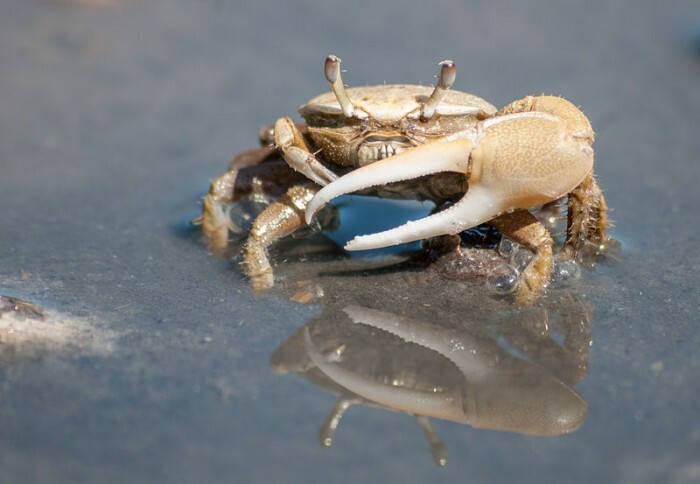 Home › Articles & Blogs › Can Crabs Feel Pain? According to new research, yes crabs can feel pain. A new study by a group of UK researchers have come to this conclusion after undertaking a study recently published in the Journal of Experimental Biology. The method of the study was to examine the reactions of shore crabs to mild electric shocks. They succeeded in finding the difference between the activity of the nervous system during nociception and pain. Before this study, it was assumed that crustaceans experienced nociception but not pain. Nociception is different from pain because it is not subjective. It is produced by the nervous system (both peripheral and central) as a reaction to potential harmful stimuli. Thus, nociception is a reflex such as automatically pulling your hand away from a naked flame. 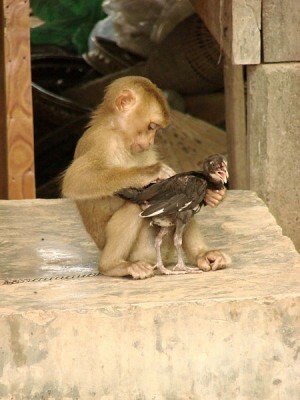 This reflex is found in all animals in order to protect the bodily tissues from harm. In the case of the crabs, the nociception provides an immediate evasion of the electric shocks. However, it should not affect the later behaviour. Pain is that which creates the later avoidance of harm. In the aforementioned study, the crabs showed avoidance behaviours. Ninety crabs were placed in 2 tanks without a source of light. After the crabs settled into the dark space, they were removed from the tank and exposed to mild electric shocks. They were later returned to the tank where most of the crustaceans settled in the same place as previously. Another set of previously shocked crabs was then taken and shocked again. When these were placed back into the tank, they moved to a different area. Those which had not been shocked the second and third times did not move, but stayed in these ‘pain-free’ zones. In the tank was dark ‘hideaways’ which are usually popular habitats for these creatures as they provide protection from predation. Those crustaceans that were shocked on multiple occasions would stay in the open areas of the tank, choosing to trade in the safety of the hideaways to avoid the shock treatment. This means that the crabs learned to avoid the shelter where they experienced the shock. They were willing to leave their protective shelter to avoid the source of their pain. While it is impossible to demonstrate without doubt that crustaceans feel pain, the purpose of this research hopes that these findings spur an investigation of how the animals are handled in aquaculture (such as eyestalk ablation) and in the kitchen (where they are sometimes cooked and prepared while alive). 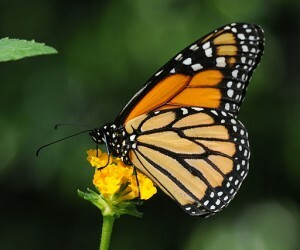 Illegal logging of the oyamel forest, the monarchs favoured trees to hibernate in, still continues despite an increase in the size of nature reserves by the Mexican government. 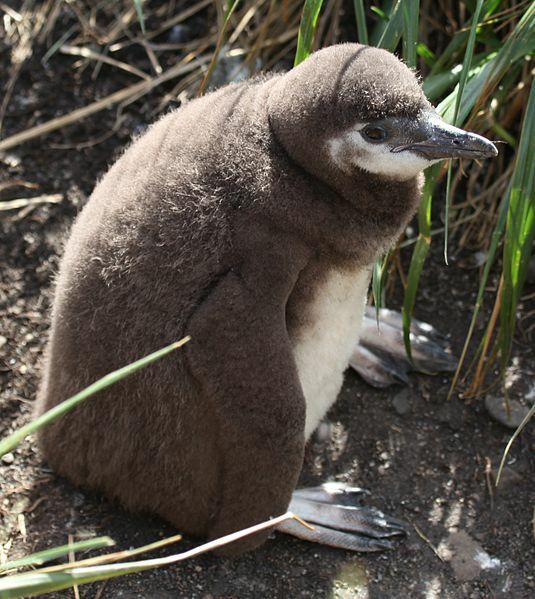 Penguin parents are arriving at the breeding season later and later in the year because the fish they eat are arriving later. But the later the chicks hatch, the more likely it is that they will still be covered in down feathers when the storms hit. 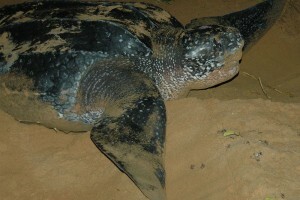 New Protections For Leatherbacks, But Are they Enough? This new designation means that the government will regulate activities that could harm the leatherbacks and their prey, jellyfish.